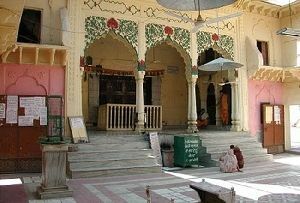 Jaipur Temple, Vrindavan, Jaipur Temple Uttar Pradesh, Jaipur Temple India. 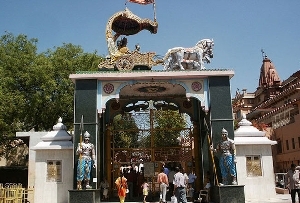 The Jaipur Temple, Vrindavan is one of the many primary attractions in Vrindavan. 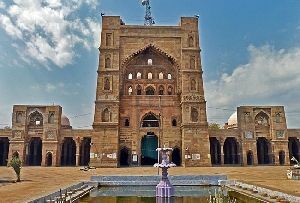 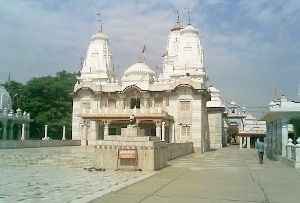 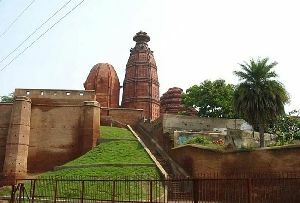 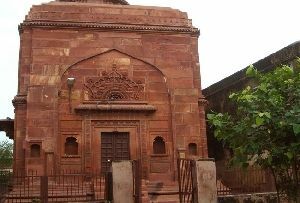 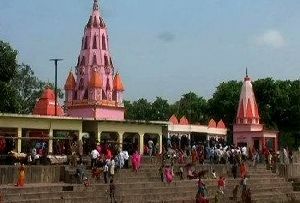 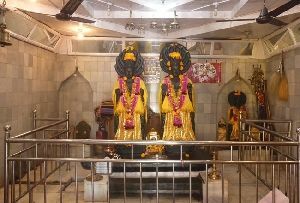 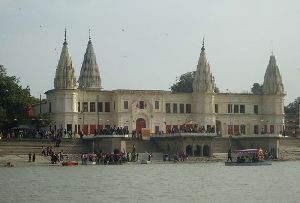 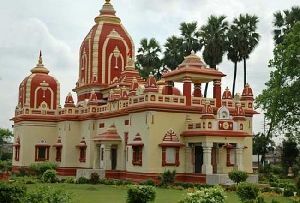 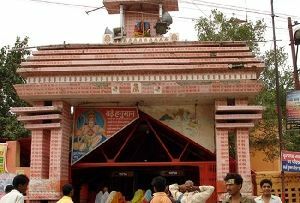 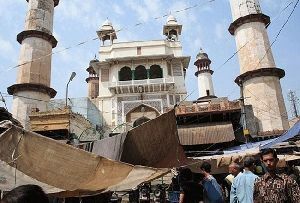 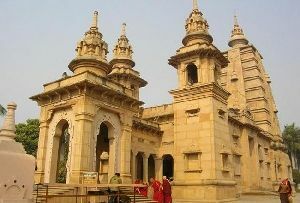 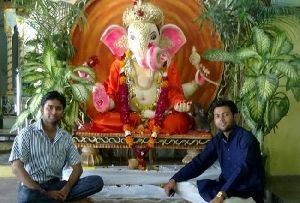 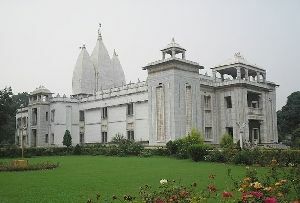 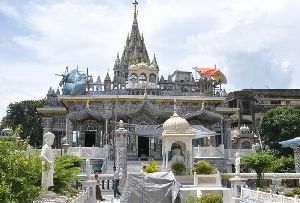 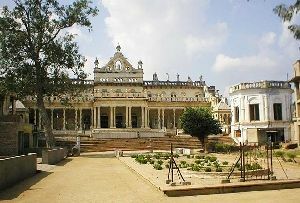 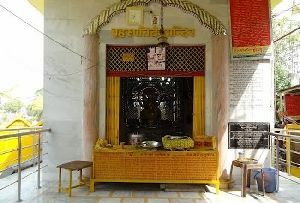 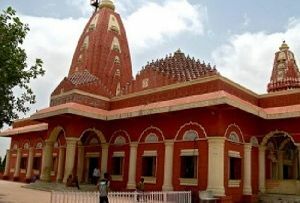 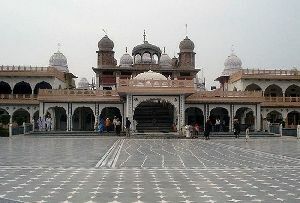 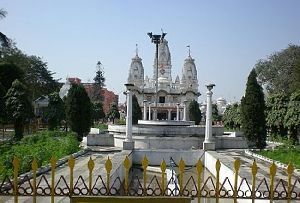 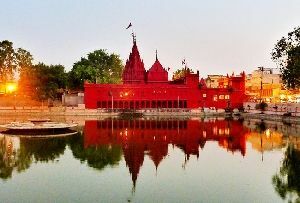 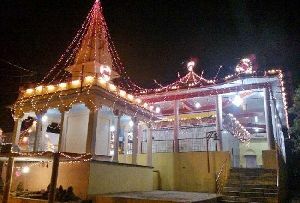 It is one of the most popular temples in Vrindavan. 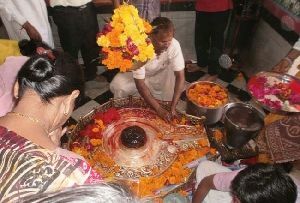 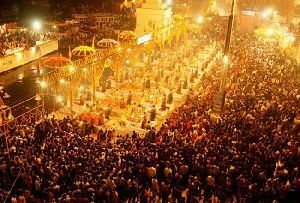 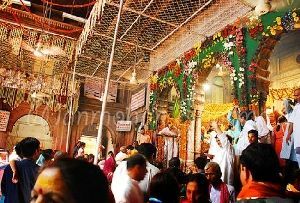 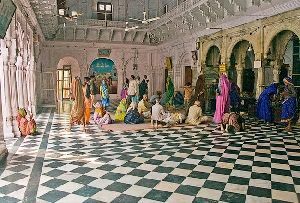 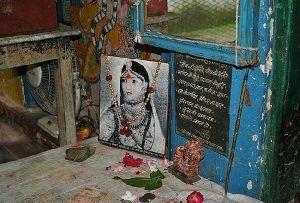 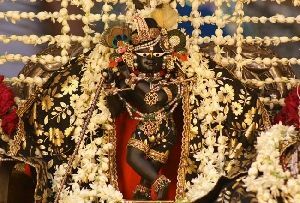 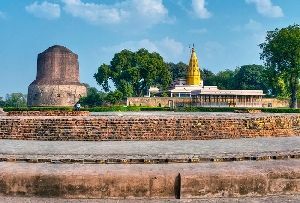 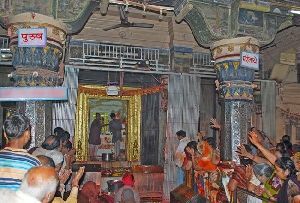 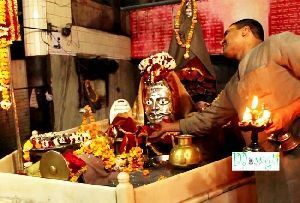 Of the various Holy Places in Vrindavan it is one which is frequented by a large number of devotees. 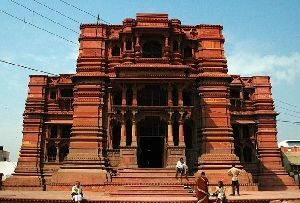 But the name Jaipur Temple in Vrindavan is quite illusive; this is because of the fact that, it is not located in the city of Jaipur but is located in Vrindavan. 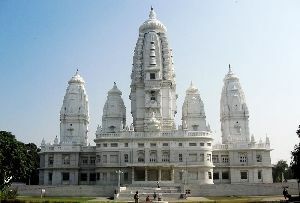 The Jaipur Temple, Vrindavan, is one of the most opulent temples located in the heart of the city. 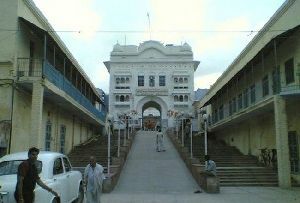 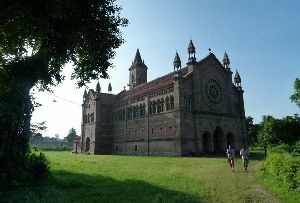 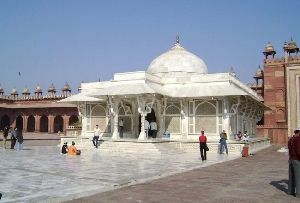 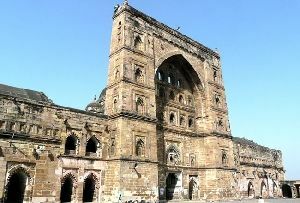 It was erected by the Maharaja of Jaipur called Sawai Madhav, in the year 1917. 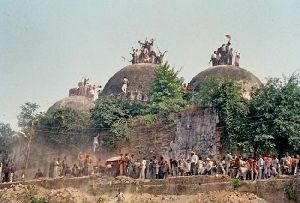 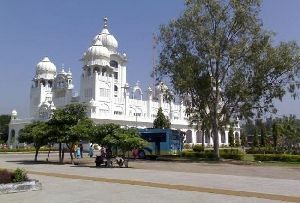 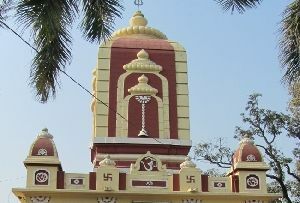 30 years were required to construct the temple. 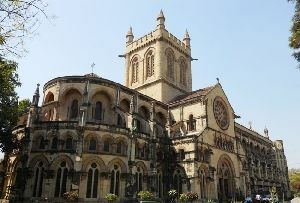 With unsurpassed craftsmanship intricate sandstone has been carved. 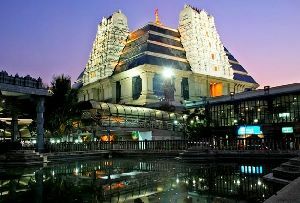 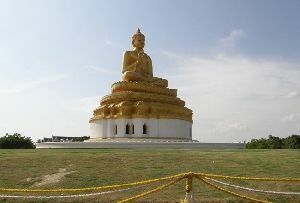 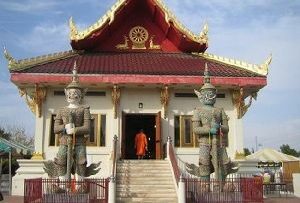 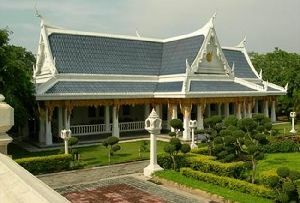 From a singular rock structure, the entire temple has been constructed. 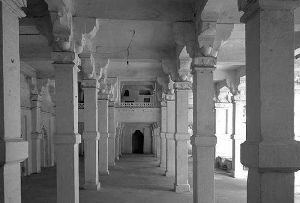 There are huge pillars with marble finishing. 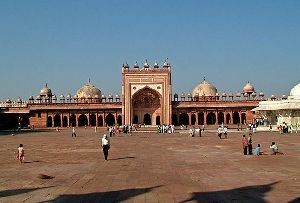 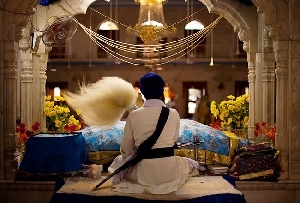 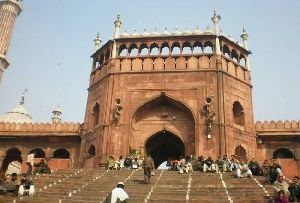 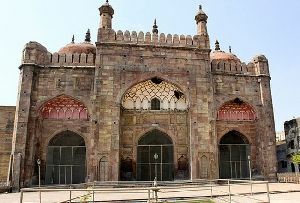 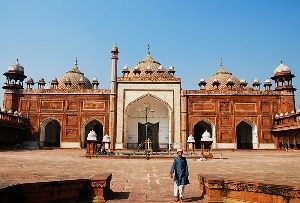 The intricate work, rich architectural skill and the overall elegance of the place is indefinable. 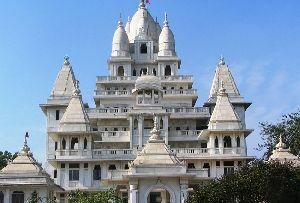 There is a huge altar in this temple. 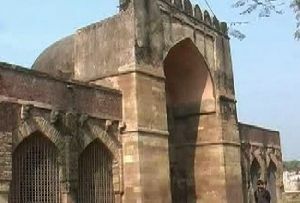 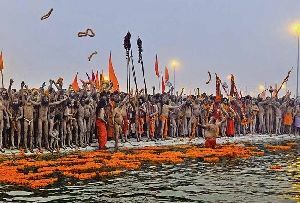 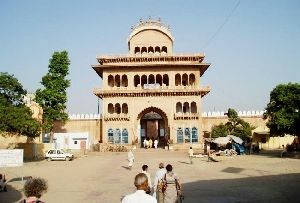 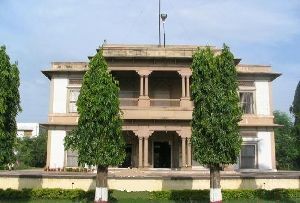 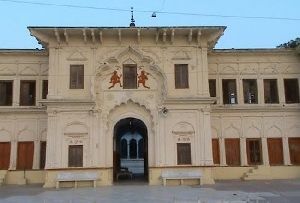 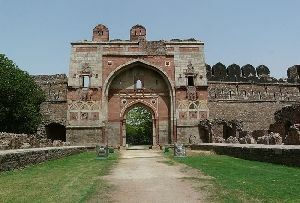 Often it is stated that the Maharaja paid for the Rail Lines that connects Vrindavan and Mathura. 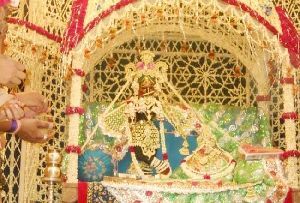 The deities worshipped here are Sri Radha-Madhava, Ananda-bihari and Hansa-gopala.